WHO IS CALDES HUB FOR? General Staff involved in Practice Managment and CRM. Watch our YouTube video below for a quick overview of Caldes HUB. Simple, easy to use, colour coded graphical interace. Designed for offices, retail, leisure and industrial properties, land and developments. Manage clients, applicants, jobs, sales, lettings, marketing and pipeline. Track enquiries, viewings, offers and other activity. Manage different CRM categories, relationships, addresses and company groups. See all the jobs done for a client in one click. Build and save different property and contact lists. Powerful searches across all data. Generate enquiry reports for owners. Automatically match properties to applicants and visa versa. Tablet and mobile friendly screens. Automation, process management and job progression. Full office diary and reminders. Produce letters, emails and spreadsheets. Integrate with Microsoft Outlook, Word and Excel. Drag and drop email content straight on to a property or contact record. Document management against both contacts and properties. Intelligent Robotic Information Service (IRIS). Automate tasks and create processes. Display building occupancy with 3D drag and drop stacking plans. 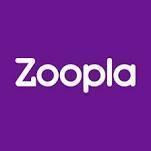 Visualise, search and diarise valuations, leasehold rent reviews, breaks and expiries. Multiple job per property, providing a comparable archive. We can provide you with email, letter and brochure templates to meet your needs or you can chose from the built in templates supplied. Deliver a consistent marketing message. Produce Brochures, emails, PDF listings, mailshots and exports in seconds. Email marketing campaigns, with built in tracking and performance campaign monitoring. 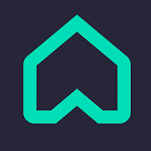 Caldes HUB can feed to all of the major property portals, including EGProperty Link, Rightmove and Zoopla. One-to-one remote and on-site training. Group on-site or off-site training. HUB - Property Website Design or Integration? Caldes can link to your own website via our standard API XML feed, or we can provide you with an integrated website to present your brand with perfection. Caldes have developed and integrated with thousands of websites over the years. Please contact us for more information. Caldes also has an optional online repository system, called a 'Briefcase', where clients and customers can log in and view or update information. Telephone, email and an online support ticket system are all available to our clients. Full implementation and data transfer from legacy sysems such as Alcium and Estate Craft. Caldes HUB is priced to meet the needs of any sized agency, from a single user right through to multi-branched agencies. Starting from £50 per user per month. Contact us for a detailed quotation.